TREND ALERT! If you’ve been paying attention to the fashion week runways of Fall 2017, you’d know that the power suit trend is hot and heavy right now. From Celine to Jacquemus to Mary Katrantzou. All of my favourite designers were featuring this trend. Women wearing pant suits is not a new thing, it started as early as the 1870’s. However the reinvention of this trend by named designers is impressive! Seriously I gagged. More masculine fits, daring prints, glitters, velvet and other fancy fabrics. I knew it was only a matter of time before high street fashion brands like Zara and TopShop would feature this trend also as they mostly are right on top of it when it comes to seasonal trends. Might be a designers worst nightmare but handy for women who have high fashion taste with a high street budget. And behold, after hours of shopping and walking around the city centre looking for a power suit that suits me, I found one and it was love at first sight. 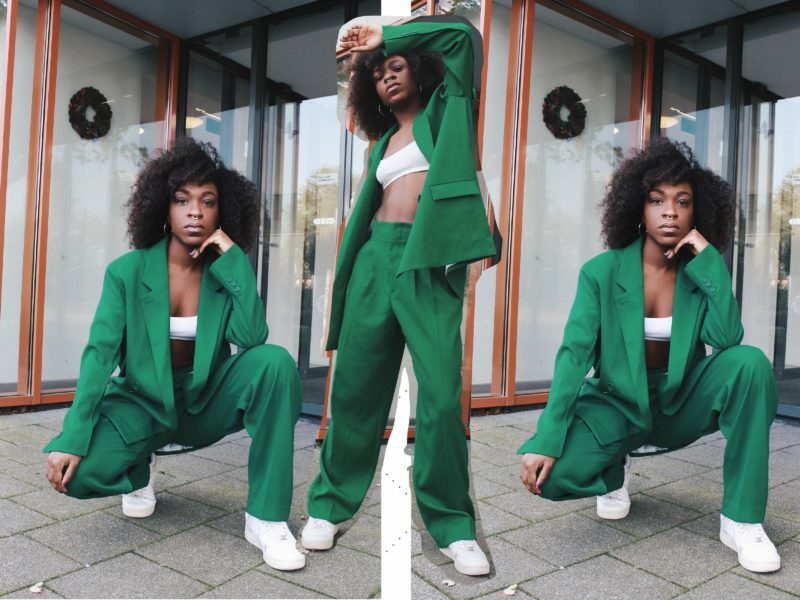 The green pantsuit is from the H&M trend collection(€149,99), styled with a crop top underneath that I got from Weekday and of course I had to finish things of with my Nike’s so it wouldn’t look too girly. Voila! As for the next look, I had to improvise a little bit. 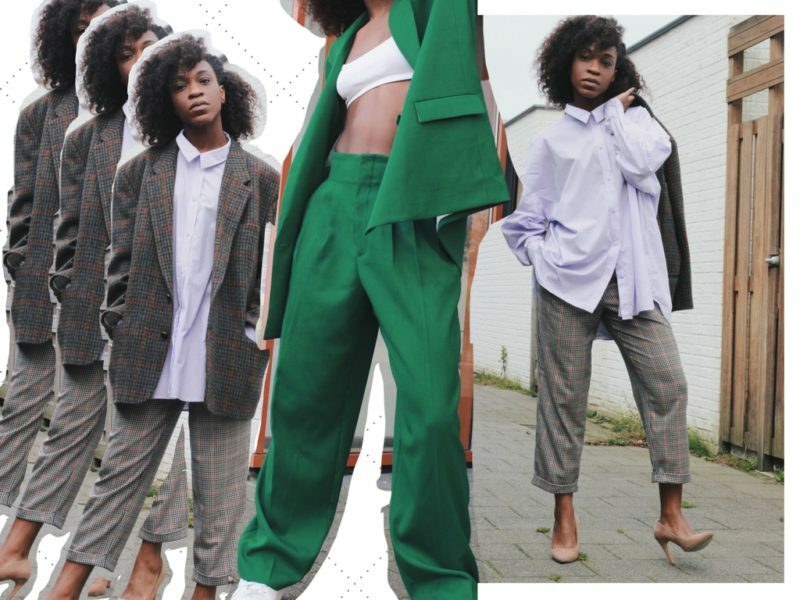 I did some of that good ole shopping in my closet and came up with the following look; My blazer is thrifted from Cheap Fashion (€15,-), paired with my oversized blouse from the Weekday Summer sale (€25,-) and trousers from TopShop (€57). 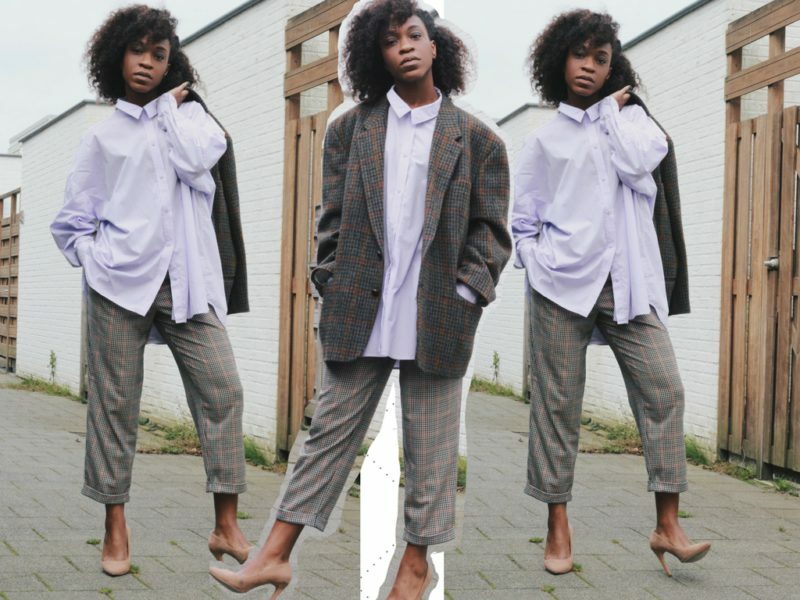 Since the oversized blazer and blouse already made this look quite masculine, I decided to switch things up a bit and finished this look of with pumps instead of sneakers. 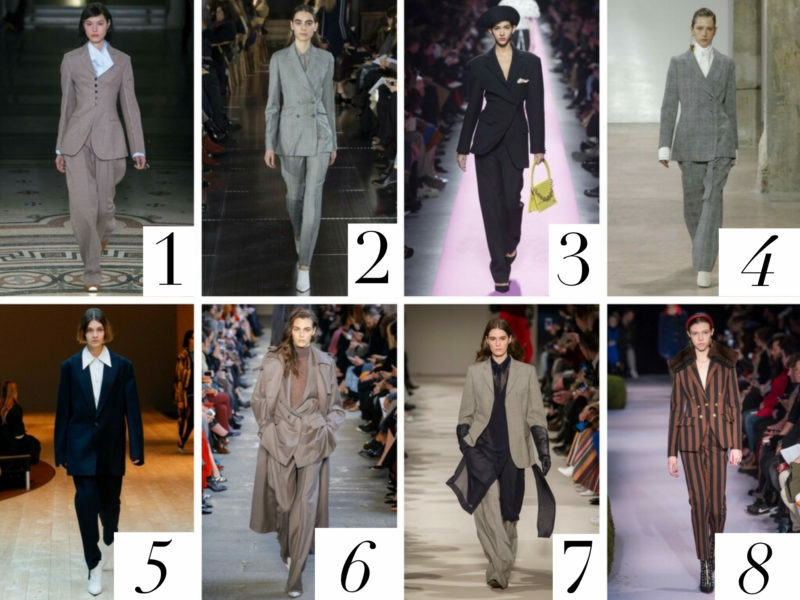 See some more power suit looks from my favourite designers below.